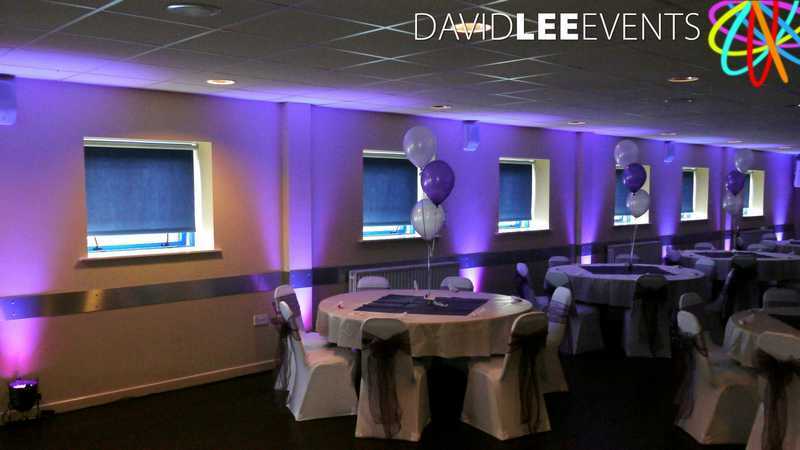 Curzon Ashton FC function room is situated at the Tameside Stadium in Ashton Under Lyne. 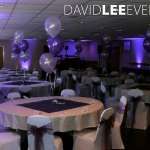 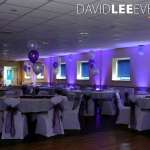 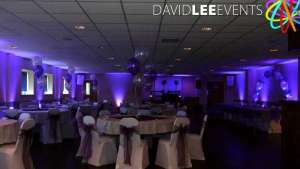 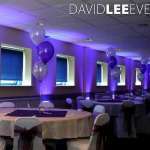 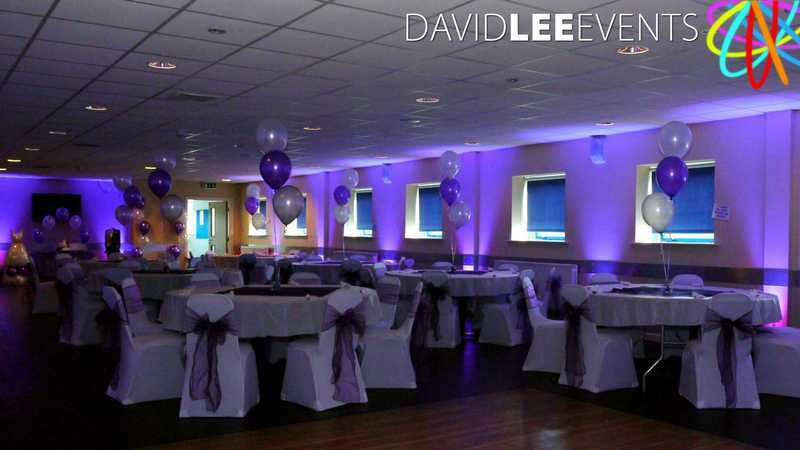 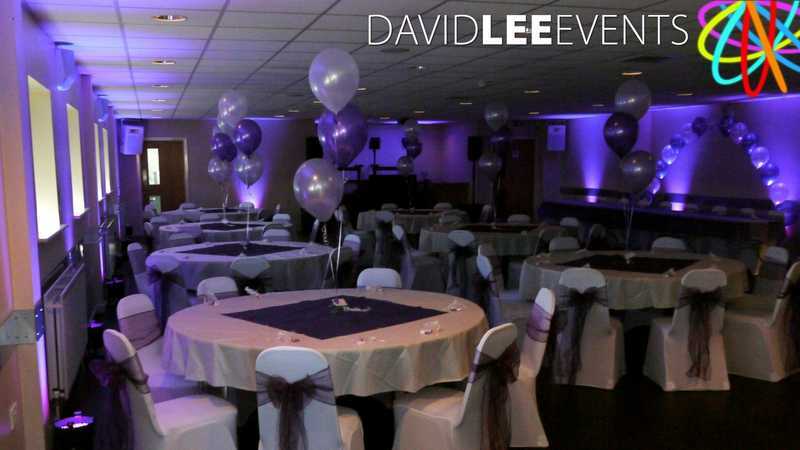 This venue is perfect for uplighting weather it’s for a corporate event or your wedding day. 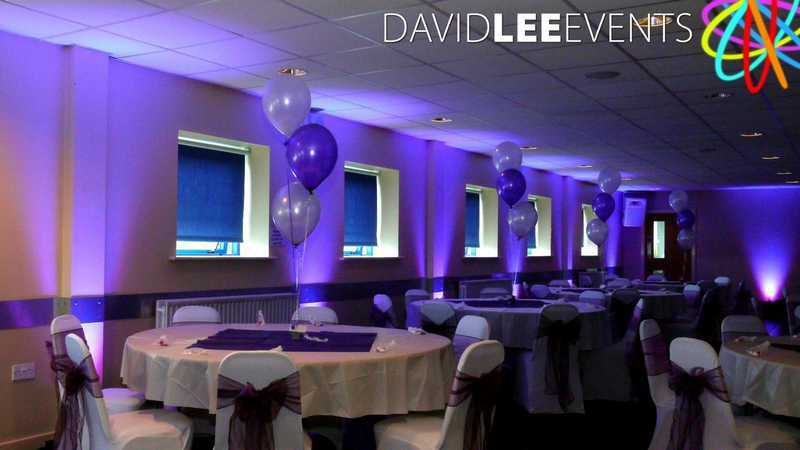 With the white walls and low ceiling to bounce the lights off, it really makes the room more ambient, creating the WoW effect and helps keeps the mood chilled and relaxed. 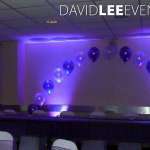 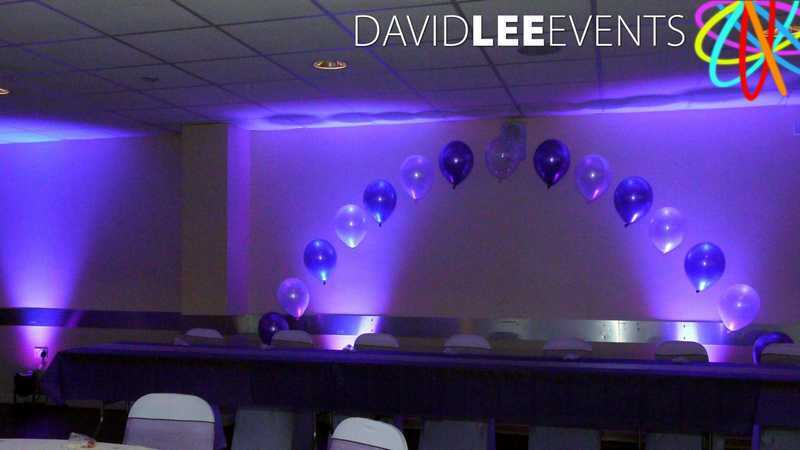 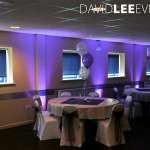 As you can see from the pictures uplighting is very effective in this room but I have also had red carpet, poles 7 ropes and flame lights for a Hollywood themed birthday party. 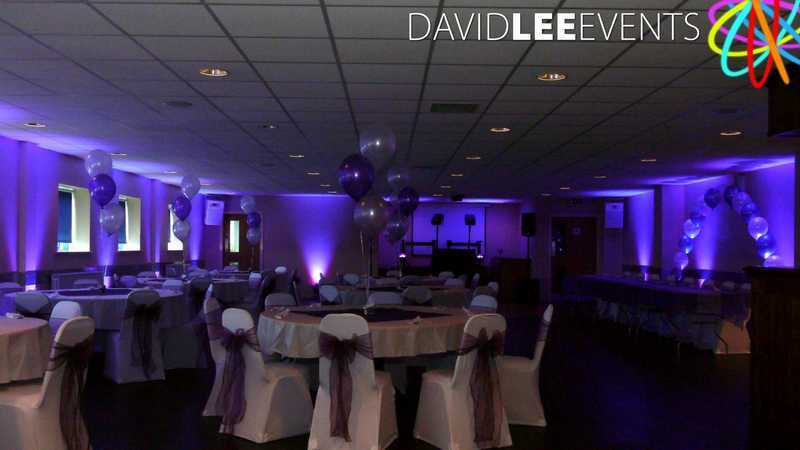 Unfortunately those pictures seem to have been lost, but that was few years ago now 🙁 .